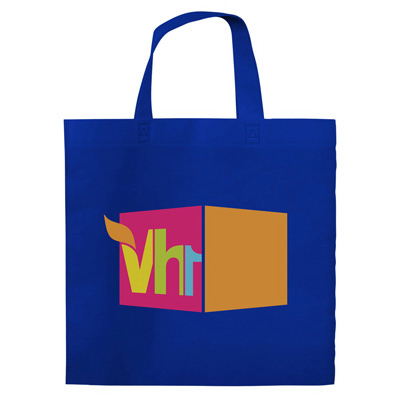 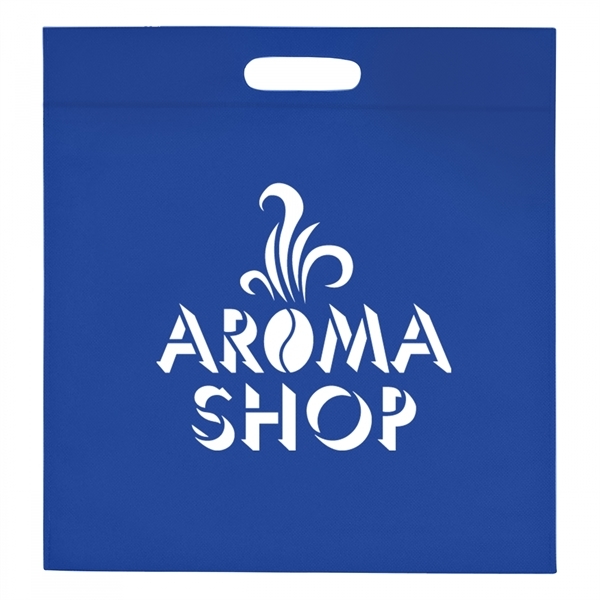 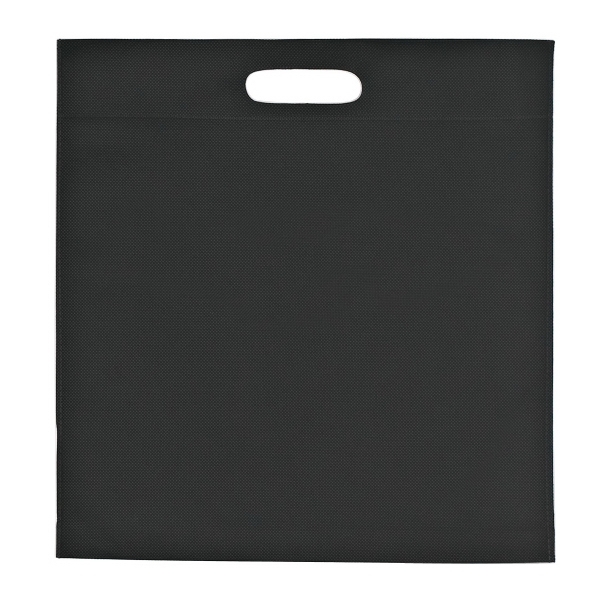 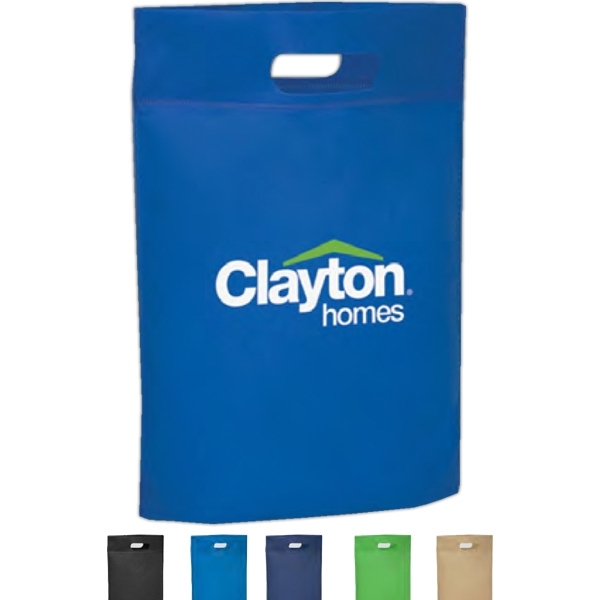 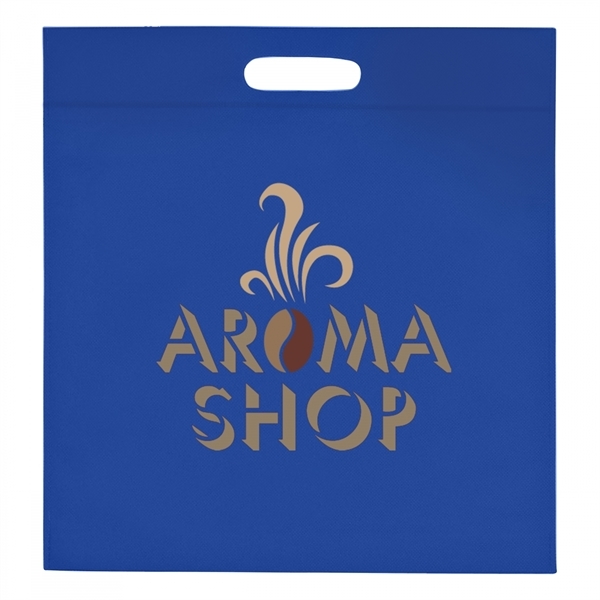 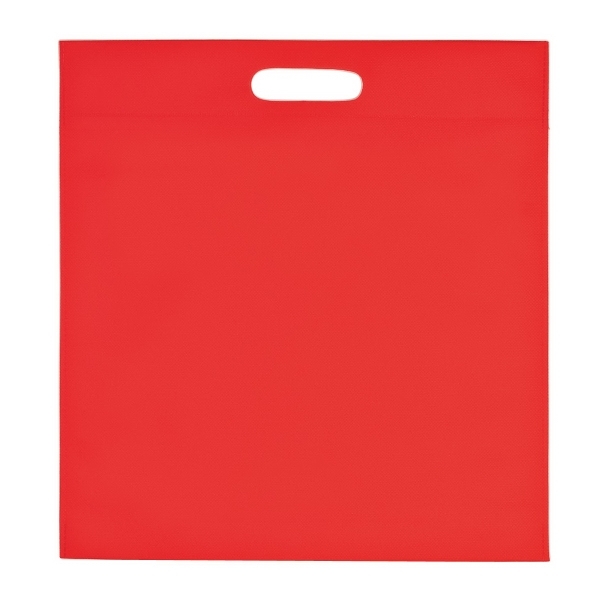 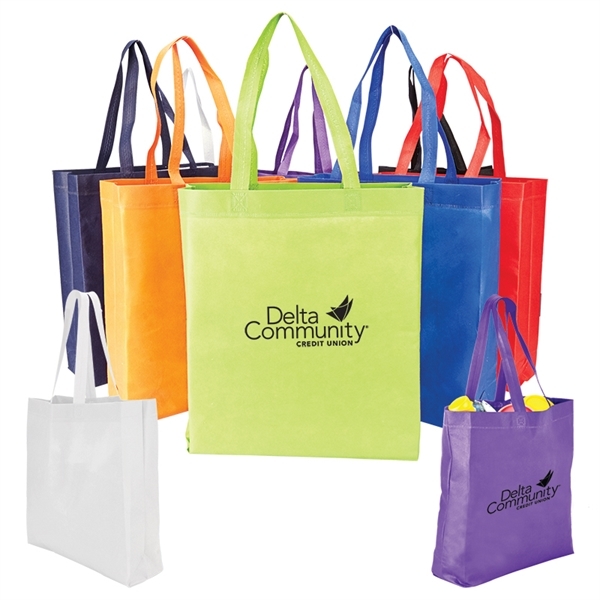 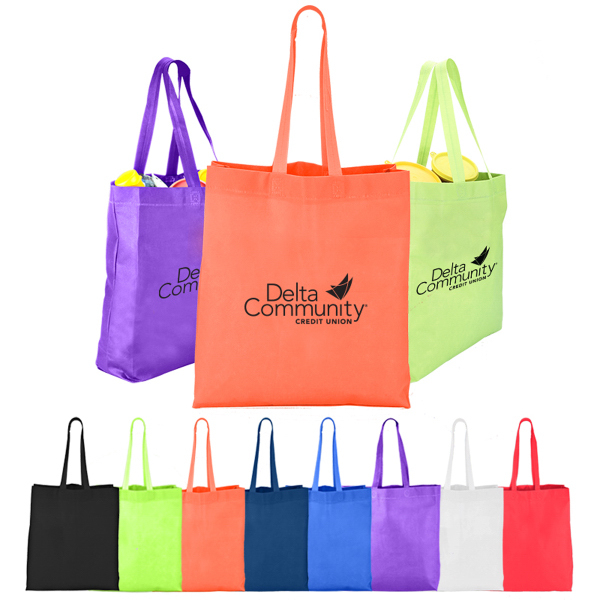 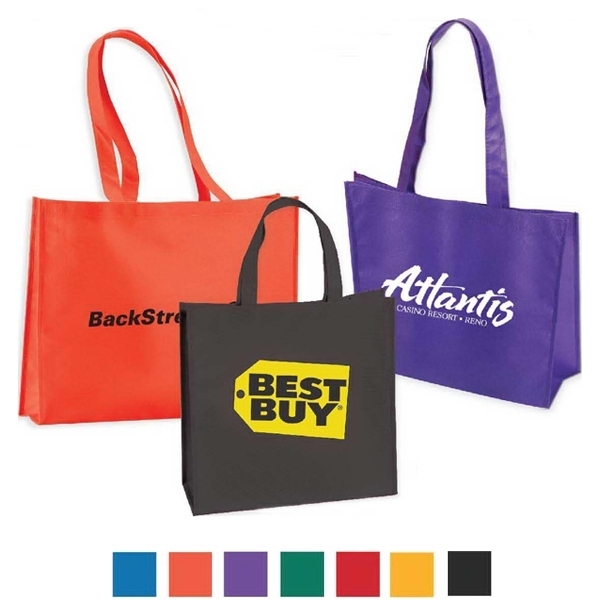 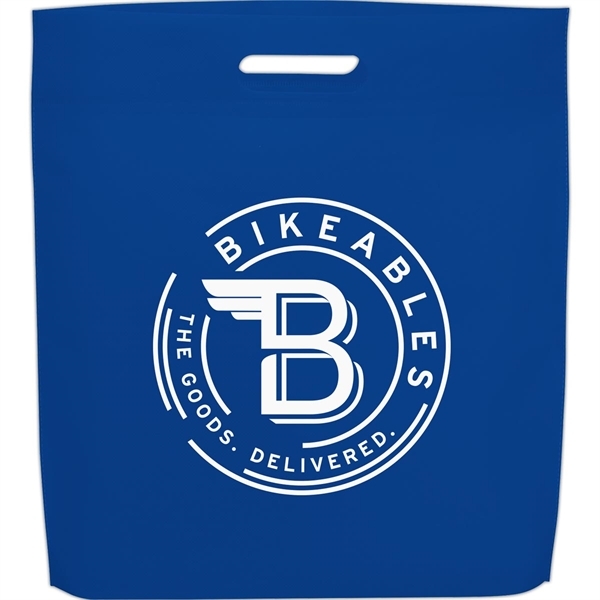 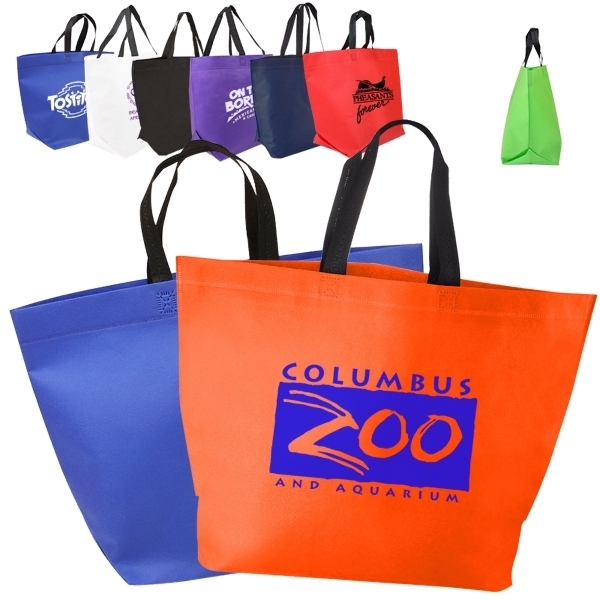 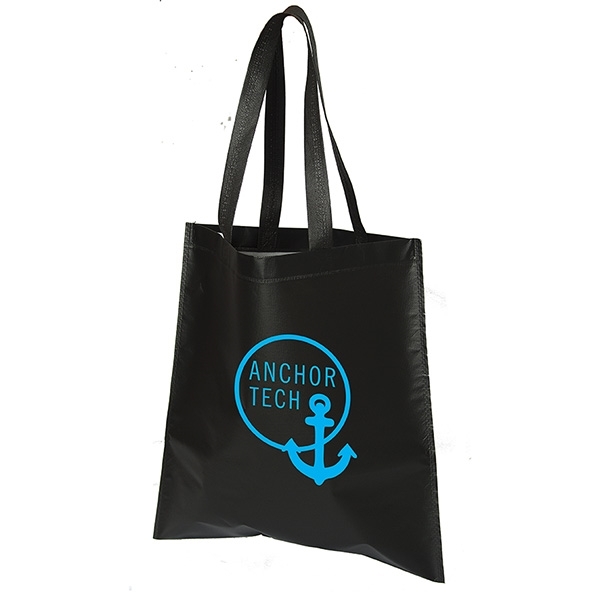 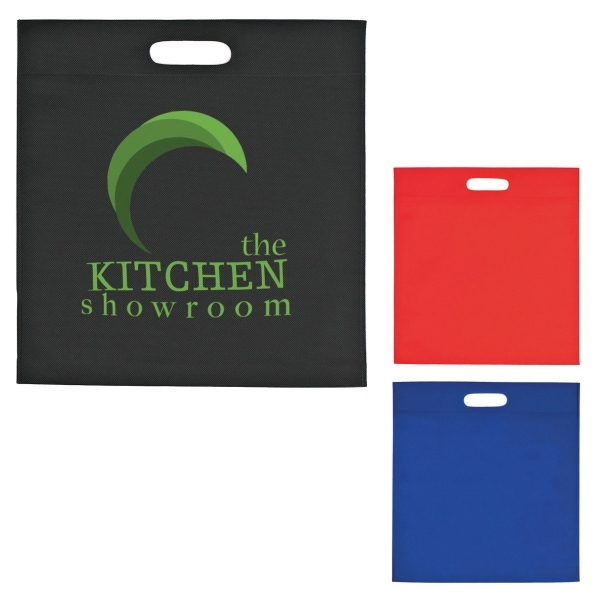 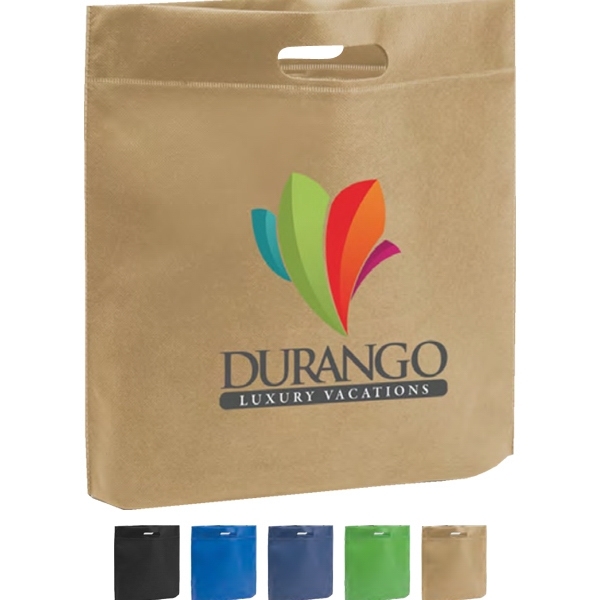 Your next event is in the bag with the large heat sealed non-woven exhibition tote! 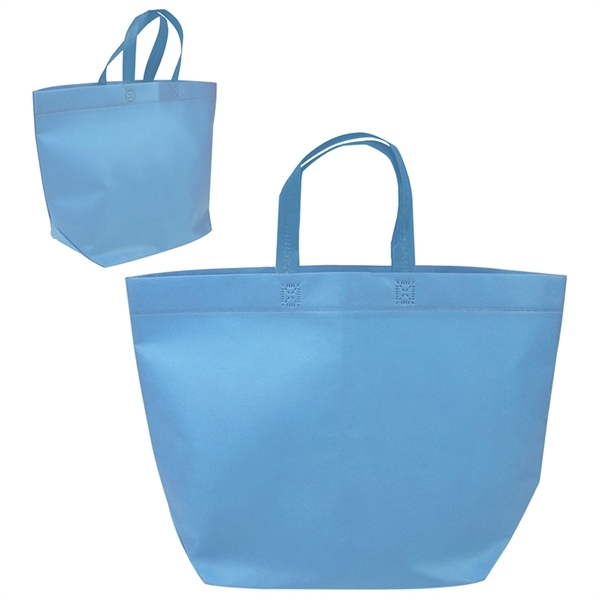 The simple bag is made of 80 gram non-woven, coated water-resistant polypropylene and features die cut handles and a 2" bottom gusset. 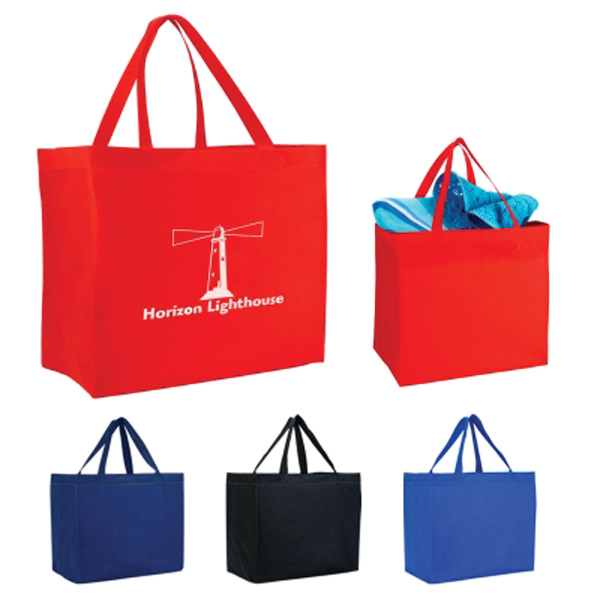 Great for literature packets, handouts, grab bags, and much more, your next giveaway is sure to be a hit. 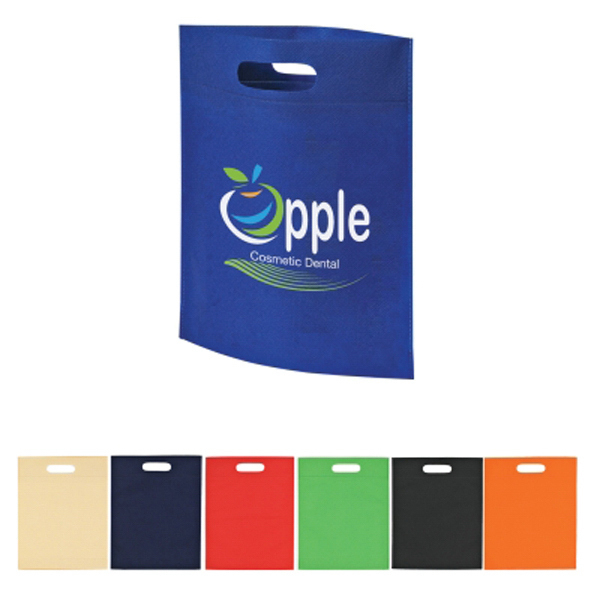 Available in three colors, an imprint of your logo or company name will add some promotion power to your campaign lineup! 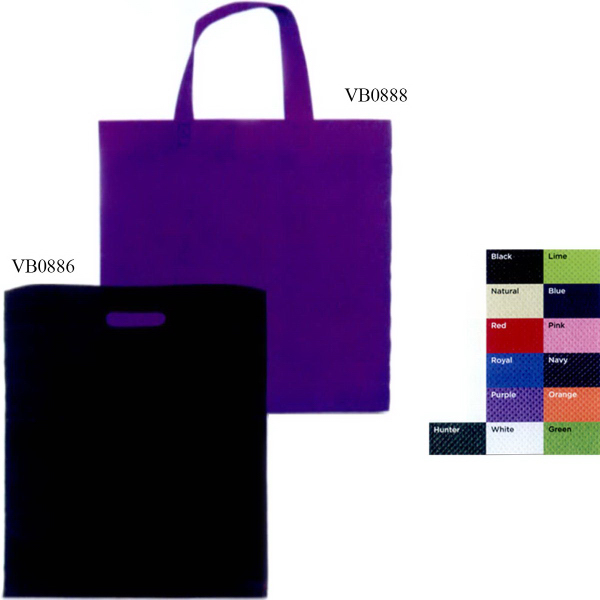 Sizes: 15 " x 16 "